Can Egg Whites Crack into New Protein-Packed Categories? 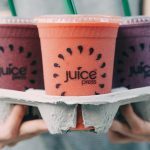 While some industry leaders think this is a fleeting fad, others think it’s here for the long haul and are increasingly formulating with egg whites. They’re even taking it one step further by directly calling out the ingredient on their front labels. 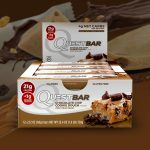 Protein is breaking free from the nutrition bar, which historically has been the most popular format for protein-supplemented CPG outside of powders. 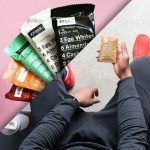 In this deep-dive, we explore why brands are interested in new protein snacking formats: bites, balls and everything in between. The brand’s revamped packaging, designed by Nucleus Maximus, features a colorful design with a hand-drawn bear. 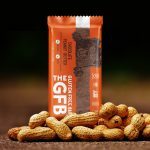 To start, the bear will only be featured on GFB’s bar line, rolling out to 9,000 stores this month. 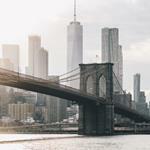 Juice Press’s Almond Cacao Energy Bar and Mint Chip Energy Bar are now available in LaGuardia, John F. Kennedy, and Newark Liberty International airports. Pereg Snack Bars come in two varieties: Raw Bars, made only from raw ingredients, fruits, and nuts; and Quinoa Bars, made with quinoa, fruits, and nuts. 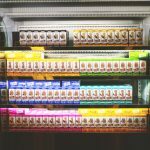 Like all Pereg products, they are vegan, kosher certified, dairy and lactose-free, and all natural, with no additives or preservatives. They are also certified gluten-free and non-GMO. Investors See Green with R.e.d.d. 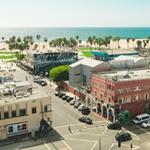 Terms of the deal were not disclosed but an April 2016 filing with the Securities and Exchange Commission indicated the company had closed roughly $850,000 of a $1.5 million round. The Portland, Maine-based brand previously raised $1 million in Spring 2016. 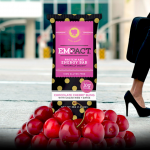 Colorado-based Empact Bar was created six months ago by two married former lawyers turned fitness video and healthy snack creators, Melonie and Zeke DeRose. 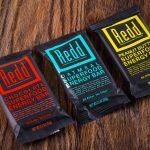 The women-focused and mission-driven protein bar company wants to not only fuel women throughout their day with nutrient-dense food, but also to empower women. 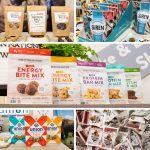 Thrive Tribe®, a snack brand part of the 1908 Brands family and MegaFood, a leader in the natural supplement industry, today announced a new partnership and product line – paleo snack bars fortified with nutrient booster powders.